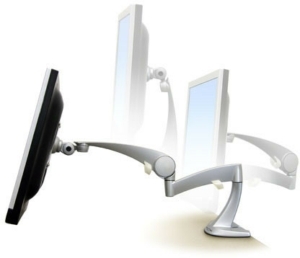 If your monitor is further than arm's length away, it encourages you to lean forward, causing a hunched posture. This can put strain on your back, neck and shoulders. Alternatively, if the monitor is too close it can cause strain on the eyes. 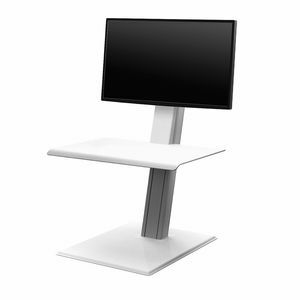 A monitor stand enables you to position your monitor ergonomically so you can avoid these health issues. Your monitor should be positioned so the top of the screen is at eye-level, otherwise, your posture will be compromised. 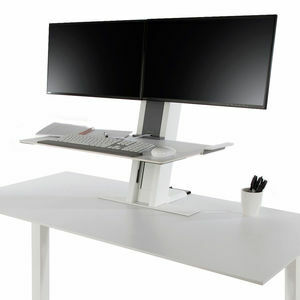 If your monitor is too low or too high, unnecessary strain will be placed on your neck and back. This will lead to discomfort, fatigue and eventually a musculoskeletal injury. 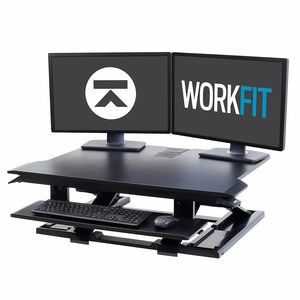 Monitor Arms are an ideal solution for hot-desking environments because the needs of each user will vary due to their physical differences. 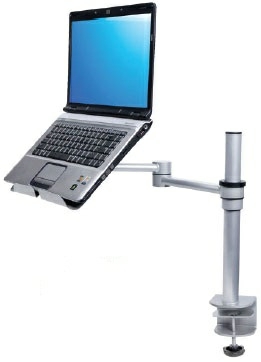 Monitor arms allow the height, distance, angle and rotation of monitors to be simply adjusted. 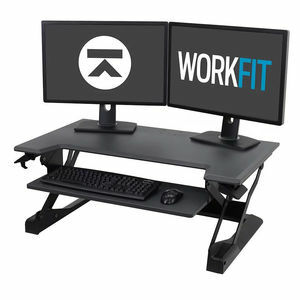 Monitor arms are available with either clamp or bolt-through fittings and by completely lifting monitors off the desktop, valuable workspace is freed up. 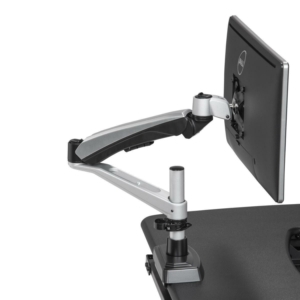 Single & Dual - Monitor arms are available in single or dual-arm designs. Two single arms can also be used to provide greater flexibility. 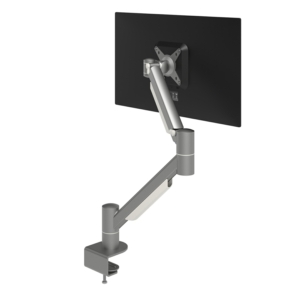 Gas Articulated - Gas articulated monitor arms articulate around a gas powered spring which allows the monitors to seemingly float. Adjustments are ultra smooth and quiet and can be made with very little effort. 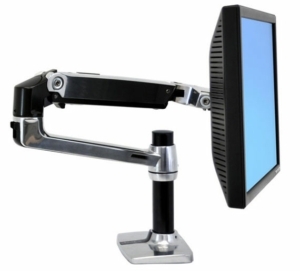 Spring Articulated - Spring articulated monitor arms tend to be more economical and aren't as smooth to adjust as gas sprung arms. However, they provide greater longevity of service as there are no parts to leak or fail.